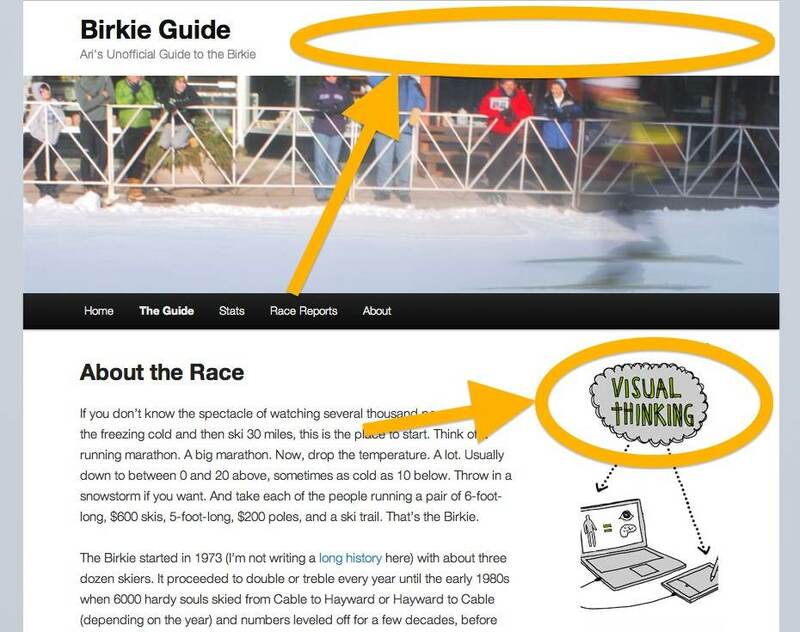 Web hosting is not free, and BirkieGuide.com is looking to cover some costs! We have Google Ads (to the left, as you can see) but we’re looking for some more ski-specific advertising. The image below are where we have prime real estate available, although we’re definitely willing to discuss other options. If you buy one of the slots, it will appear on all pages of the site (with a couple of minor exceptions) for as long as negotiated. Email us for exact pricing and terms, but you better believe we’re not trying to rip anyone off. In other words, well under $100. Where else does that get you in front of thousands of passionate skiers with deep pockets and money to spend? Matching Gift Policy: If you are a ski-related non-profit, we will ask you to pay only for the negotiated ad rate—use the rest of the money to improve your trails or programming. However, if you are a for-profit entity, we will ask that you make an additional payment equal the ad cost to the American Birkebeiner Ski Foundation or to another ski-related non-profit (for trail maintenance, youth programming, athlete development, et cetera). This way we can support this site, and support cross country skiing at the same time. Linking Policy: All off-site links will be set to open in a new tab/window. In addition, we will accommodate extra links to social media pages (Facebook, Twitter, et cetera) if they are provided. Clicks on links will be tracked through a third-party site. Blog Post Policy: If you are an event, business or service with which I have first-hand experience, I will, at my discretion, write a blog post about your event/business/service. I will not accept copy for this, it will be based on personal experience. Obviously, if you wish to not have this posted, it won’t be. It will be marked as [sponsored] and a note will be added to the post. (For an example, see this post.) It will otherwise post like a normal post. We will add a link to the post below your ad.